Bannock County: Cherry Cr. (trib. to Marsh Cr. ), Cottonwood Cr. drainage, Dempsey Cr. above cattleguard, Mink Cr. drainage, and Gibson Jack Cr. - CLOSED. Bear Lake County: Pearl Cr. drainage - CLOSED. 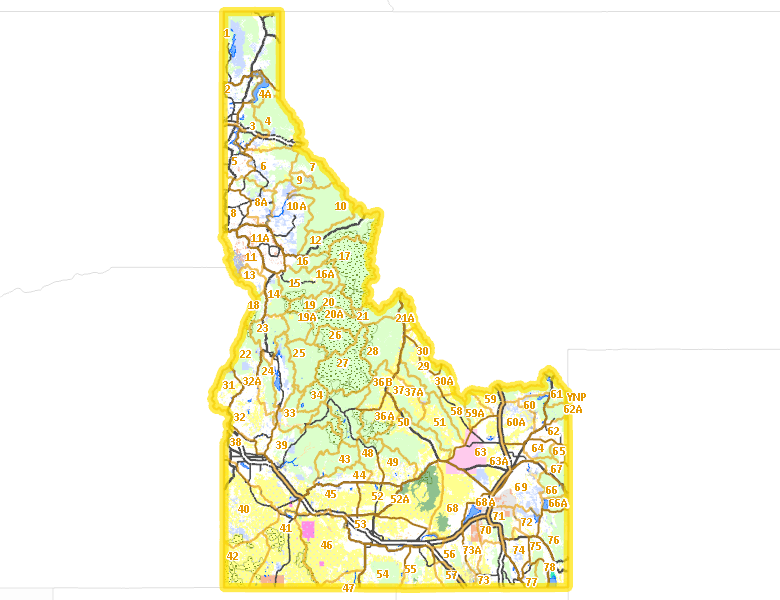 Bingham County: Public lands (Idaho Department of Lands, U.S. Forest Service, and Bureau of Lands Management properties) within Willow Creek drainage - CLOSED. Caribou County: Dike Lake, Toponce Cr. drainage on National Forest lands and Pebble Cr. drainage - CLOSED. Birch Creek Drainage above the Forest Service boundary - CLOSED.